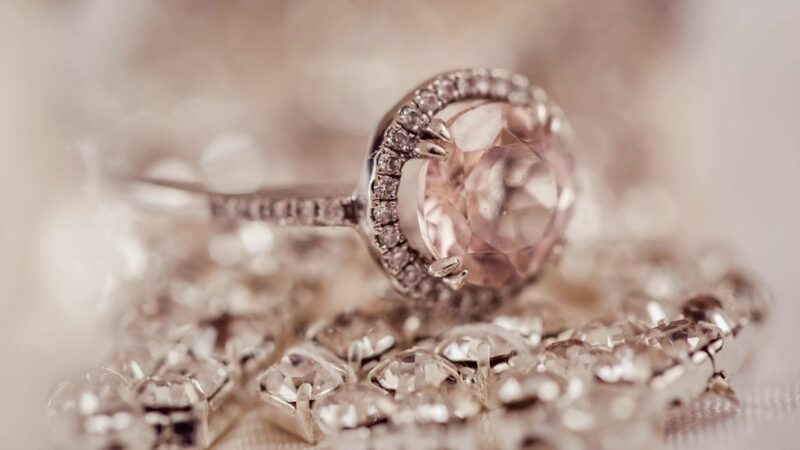 Whether you have a $30 or $30,000 piece of jewelry, there comes a point in time where you’ll need to clean it to bring it back to its former glory. Thus, many decide to bring their necklace, ring, or other pieces to a professional jeweler for quality cleaning. However, others prefer to clean their own jewelry to save money, especially if they wear their jewelry frequently. While some may believe cleaning jewelry is common sense, there are some vital things to keep in mind before you engage in such a process to ensure you clean your jewelry correctly. 1. Consider how badly your jewelry needs to be cleaned. A little dirt on your engagement ring or other pieces of jewelry that have been accumulated over the course of a couple of months may not require as serious of cleaning as a piece of jewelry that is completely covered in rust and hasn’t been cleaned in years. For pieces that require deep cleaning, you may wish to get it professional cleaned. As for jewelry that’s not too filthy, you may be able to clean it with a soft-bristled toothbrush alone or with a very mild cleaner. 2. Pick the right cleaner that won’t damage your jewelry. Knowing the types of metals, gems, and/or stones your jewelry features is critical to ensure the chemicals or cleaners you use won’t permanently damage your jewelry. There isn’t a universal type of cleaner out there that is suitable for all jewelry. Even sterling silver jewelry must not be placed in a baking soda and vinegar mixture if it has a shiny coating as this may damage it. That said, always conduct adequate research before using any jewelry cleaner or homemade mixture on your jewelry. 3. Always use a soft cloth when cleaning your jewelry. Never opt for an abrasive cloth to “scrub” your jewelry. While you may think your rusted or tarnished necklace needs something rougher to clean it, this may only make your jewelry look worse in the long-run. Only ever use soft materials such as a polishing cloth or soft-bristled toothbrush (like a baby/infant toothbrush) to wipe your jewelry or remove dirt from its crevices. 4. Properly store your jewelry to ensure it won’t tarnish or require more frequent cleanings. While it is possible to renew jewelry that has been tarnished, the best way to prevent it from tarnishing or getting filthy more frequently in the first place is to take good care of it. A big part of caring for jewelry is storing it properly when it’s not in use. That said, keep your jewelry in a cool, dry place. Humidity, on the other hand, will damage your jewelry quicker. Click here if you’re looking for jewelry that won’t require frequent cleanings. No two pieces of jewelry are identical in how they should be cleaned. You must consider how badly your jewelry needs to be cleaned as well as the materials your jewelry comprises of. However, for all jewelry, it’s important that you always use a soft cloth when cleaning it and that you store it correctly afterward if you want your jewelry to maintain a long lifespan.